Crown Meat & Provisions Inc. offers a fine selection of premium pork. Our carefully curated assortment boasts the same quality brands and great taste year-round. Pork, whether cured, smoked, or seasoned, varies in taste, so we understand the importance of our chefs receiving a consistent product to complement their dishes. Crown Meat serves a variety of chefs who have come to love and depend on our pork selection. We serve kitchens all over Southern California, from resort venues in Palm Springs to wedding caterers in Los Angeles, to restaurants in Orange County. Have questions? 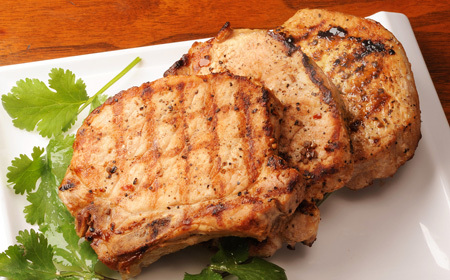 Our knowledgeable staff will be happy to inform you about the best pork cuts for your culinary objectives. For example, if you have a high volume of customers and a smaller kitchen, smaller cuts of pork may be best for you to ensure great taste in little cooking time. We’ll also advise on the flavor, tenderness and quantity of the different selections so that you can make an informed decision on what to serve your customers. Our in-house research and development department is well-educated on chef favorites and the best in pork taste and texture. Many of our regular clients have come to love Seaboard Farms, an all natural pork brand with taste like no other. The pig farmers and quality assurance team at Seaboard Farms is committed to nutrition, proper animal handling, food safety, and processing. This commitment continues with our dedicated team, as all of our brands of pork come through our USDA-inspected processing facility. We pride ourselves in exceptional customer service and strive to be of the utmost convenience to you. Choose delivery direct to your kitchen or pick up at will call. Your search for the perfect pork could be over now!